Any domain purchased through a standard registrar can be pointed to an Architect website. 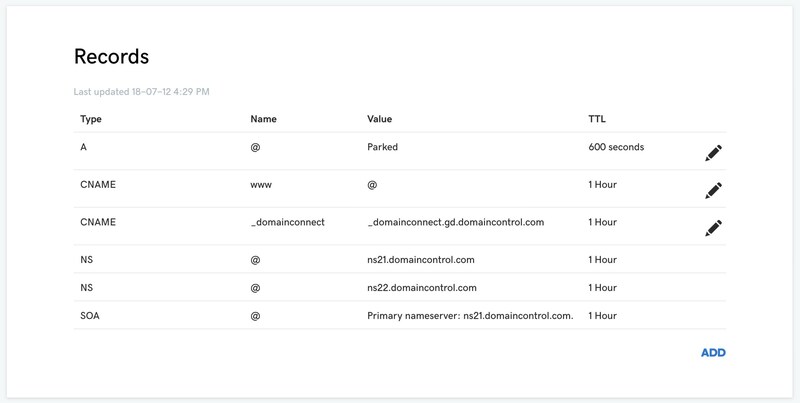 You’ll need to add a setting to the domains DNS zone file, which can be found in your domain registrar account area. Note: domain settings may take up to 48 hours to update throughout the web. 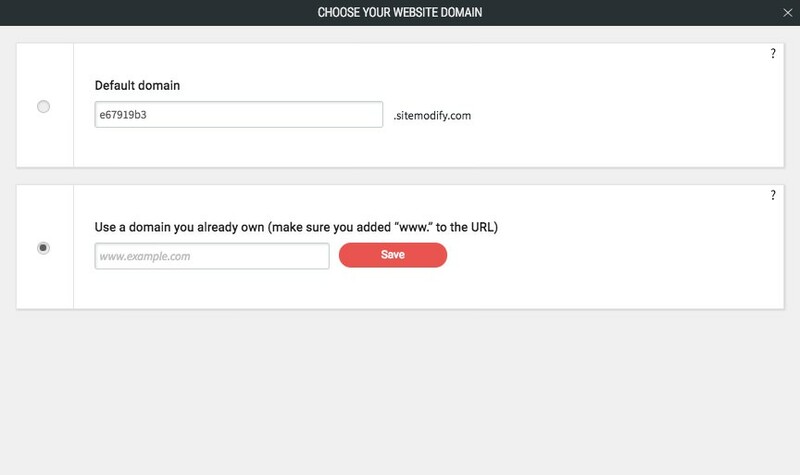 You can select either the default domain or the “Use a domain that you already own.” To set up the custom domain, select the second. 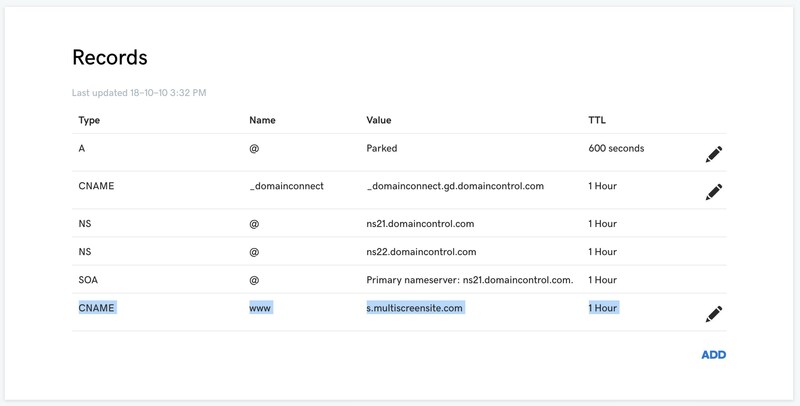 The primary connection method for pointing your domain to Architect is by adding a CNAME entry within your domain DNS file. Instructions for setting up this record will vary depending on the domain provider, but will for example, we have used GoDaddy. 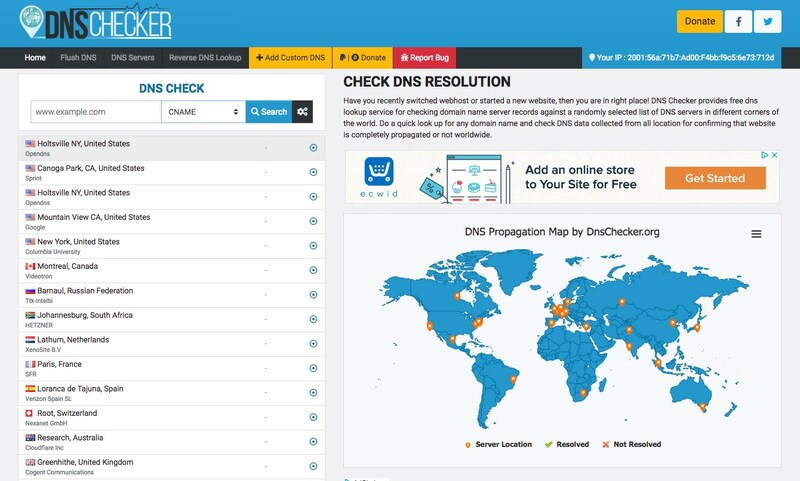 Scroll down to locate the “Manage DNS” area. Some domain providers have a basic and advanced DNS settings area, in which case you’ll likely need to view the Advanced settings. It’s common for website hosts to use a “nameserver” to hook up a domain to hosting, but we do not require any nameserver changes for Architect. It is important to note, however, that if your Nameservers are set to a location that is different from your domain registrar, then you won’t be able to edit domain settings at your original registrar. The DNS file that’s being used by a domain is always located where the nameservers are pointed. 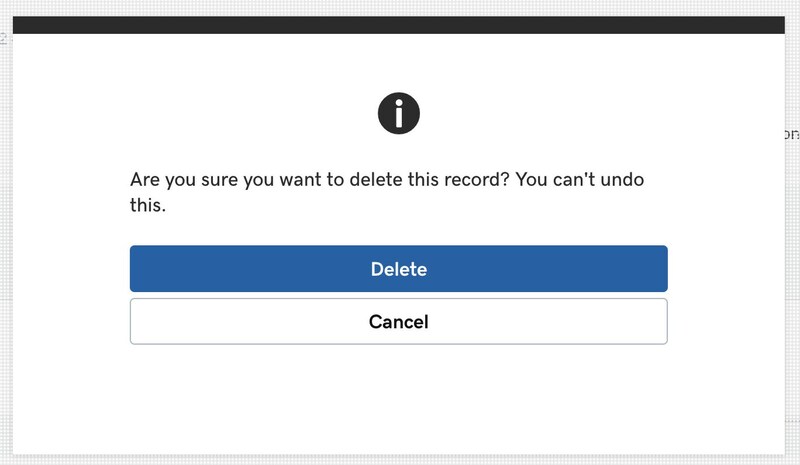 If you wish to return your nameservers to their default location and edit the DNS entries within your domain registrars account, it’s common to see a “reset” or “restore default nameservers” option provided. Reminder: do not add CNAME record to Nameservers. Returning to the instructions in the Architect site editor, you will see the settings for adding the CNAME entry. Copy the Destination/Target (s.multiscreensite.com). 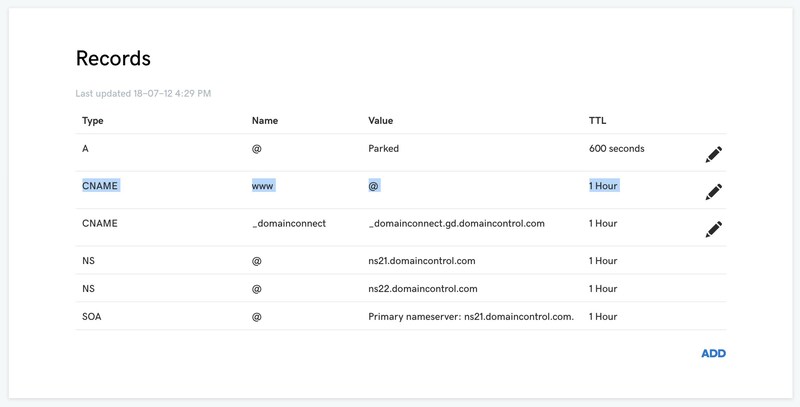 Open up the DNS settings page again and first check for an existing CNAME record in your list with the host “www.” If there is an existing record, you won’t be able to add another one. You can edit this appropriately or simply select the trash icon to remove it. Click save and a CNAME will be created. Your domain is now linked up! Note: domain setting propagation may take up to 48 hours; do not make any changes to the settings within this period. 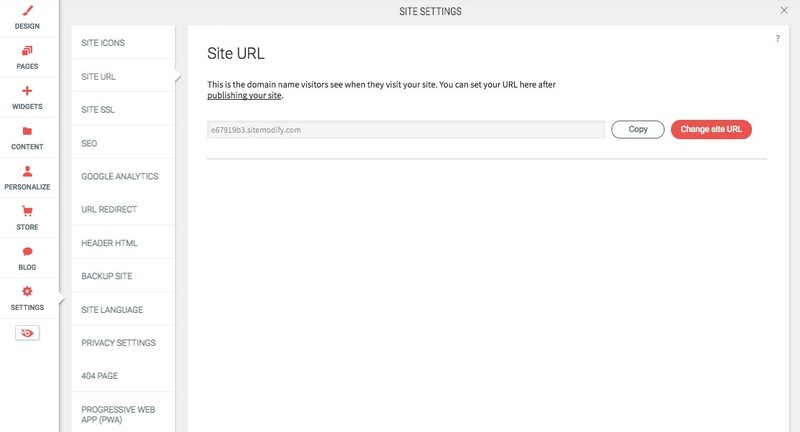 This step ensures that if visitors do not enter the “www” in front of your URL, they will be pointed to the www version of the site. You no longer need to set up a redirect, as a new feature now allows you to point the root domain directly to Architect. 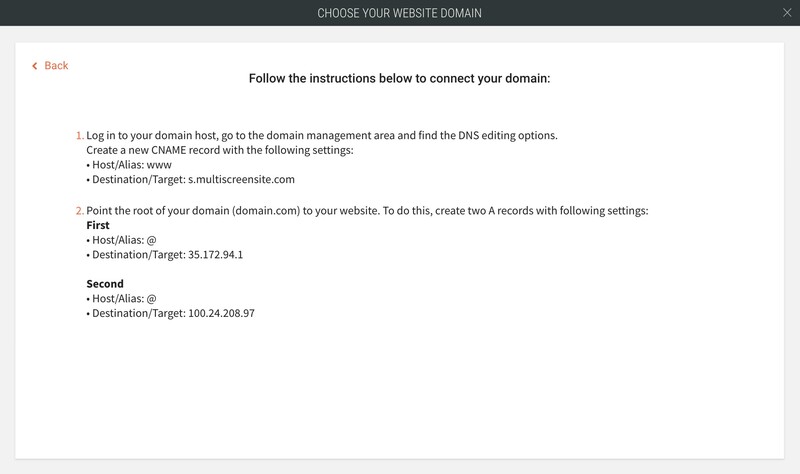 To set this up, add the two A records listed in the domain instructions to your DNS settings. Note: if you receive an error message for the host section when using the @ symbol, leave this field blank. 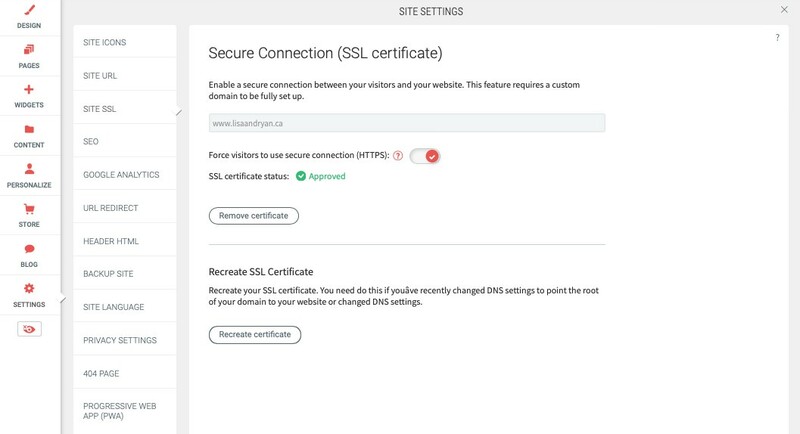 After you have successfully added the above A records, regenerate your SSL certificate; this will allow Architect to generate a certificate for your root domain as well as your “www” version. If the option to Recreate the Certificate does not appear, you can click “Remove Certificate” and “Generate Certificate” to achieve the same result. This will bring up a confirmation popup. If you see any errors, check your A records to ensure they were properly added. If you originally setup your domain using a CNAME and a 301 Redirect, you will need to remove the 301 Redirect in order to add the new A-Records. A 301 Redirect is no longer required. A-Records are a better approach for linking up the domain, and old sites should be transitioned to this new system as soon as possible. All domain registrars vary in their wording for various features and setup process. If you’ve made the changes above and your site is not displaying within 24 hours, it’s often worthwhile to contact your domain registrar and verify you’ve done each step correctly. You may need to regenerate your SSL certificate after making any major DNS changes. The certificate can be removed / refreshed easily from the site settings window.